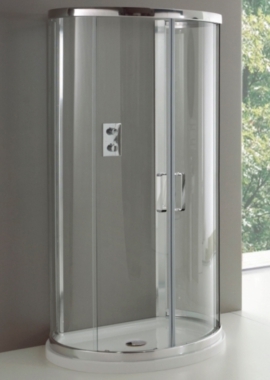 Quadrant shower enclosures feature sliding doors and a gently curved front edge, which make them an excellent choice for any bathroom where space is at a premium (you won’t have to worry about opening a door outwards and bumping into the toilet!) They are a sleek, compact solution which is right at home in the most stylish contemporary bathroom. 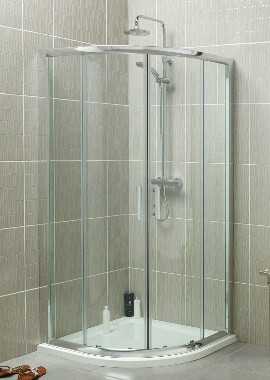 Because they fit neatly into a corner, they can often allow you to fit a shower and a separate bath into limited space. 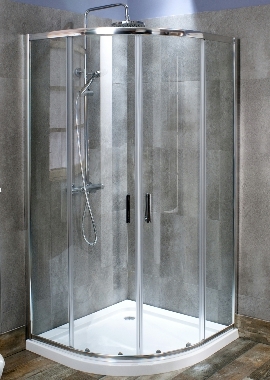 Fortunately, the design of these enclosure means you can fit a contemporary shower without using lots of space. 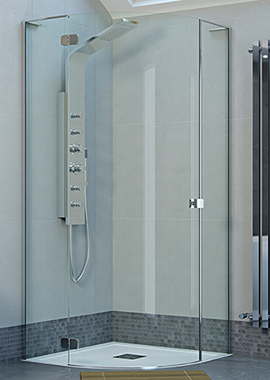 At Bathrooms 365, our quadrant shower enclosures come in 800mm, 900mm and 1000mm sizes, giving you the flexibility to add extra showering space to your bathroom. The great thing about these enclosures is that it’s easy to get a shower tray that works with the enclosure you choose, and because you can decide what type of shower to fit within the cubicle.